Containing inflation is not easy and stabilising prices of essential food items is even more difficult. �Difficulties, in our context, are diverse and complex,� according to a senior central banker. �We�re in the IMF programme and are supposed to keep fiscal and monetary aggregates at certain levels. That leaves little room for influencing prices via fiscal or monetary measures. But provinces can exercise administrative controls more effectively.� Effective monitoring of food prices is nowhere in sight. Repeated warnings by officials against profiteering fall on deaf ears. And administrative apparatus to deal with the issue is absent altogether or not functioning well. When supplies are disrupted, prices move up: Food inflation peaked in FY11 (to 18pc against aggregate CPI inflation of 13.7pc) because in that year, super floods had washed away pulses, vegetables and other minor food crops and wrecked farm-to-market transportation. Sowings and harvests of wheat, rice, maize and sugarcane were also hit. The very next year, food inflation equaled overall inflation of 11pc, as supplies had improved after increase in crop harvests and improvement in logistics. In the last fiscal year too, food inflation at 7.4pc was only slightly higher than the general inflation of 7.1pc. But in six months of the current fiscal year, increase in food prices has been higher than increase in CPI inflation as a whole�9.9pc against 8.9pc. According to SBP�s latest inflation report, prices of 17 out of 20 food items went up in December with year-on-year increase ranging between two per cent in case of sugar, to 78pc in case of onions. Reports of previous five months had painted almost identical picture of prices of essential food items. Unlike in big cities like Karachi and Lahore, people in rural areas consume much lower volumes of processed, packaged and cooked food. This means food inflation in such areas reveals more about the changes in prices of raw food items. And since food crops are grown, and livestock reared, in rural areas prices of raw food items and dairy products there show lesser increase compared to urban areas. Take for example, a vast difference between prices of rice, wheat flour, sugar, pulses, fish, eggs and poultry meat in various parts of the country. The latest inflation report of PBS shows that wheat flour is selling at a price that is higher by Rs7 per kg in Quetta than its lowest price in Rawalpindi. Similarly, per kg price of Basmati broken in Quetta is Rs27.5 higher than in Bahawalpur. Huge difference, isn�t it! Retail food prices vary among various cities, and even between different markets of the same city, for several reasons. These include local cost of production, landed cost of imported items, cost of intra-city transportation, size of the market and size of the population it serves, storage capacities of raw food items, inventory buildup capacities, hoarding tendencies, degree of administrative controls on prices (or the lack of it) etc. 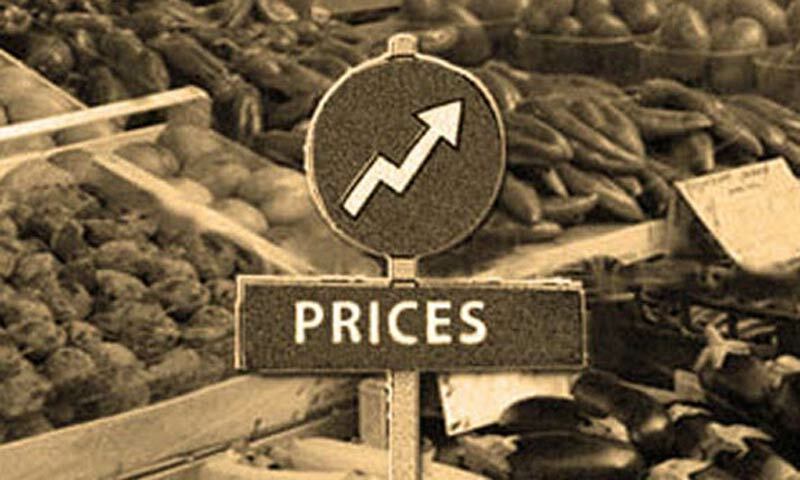 Some food items like vegetables, fruits and pulses show erratic changes in prices also because they are perishable. Not only Pakistan, but other countries in the region like India, China, Bangladesh and Sri Lanka have lately experienced abnormal rise in prices of onions and potatoes simply because a late or faulty assessment of crop shortage made it difficult for them to compensate supply gaps with imports. �An early warning system (regarding crops) and timely decision on imports are the two policy pillars in checking such price hikes,� says an official of Ministry of National Food Security and Research.